Updated 11th November. Casting has just been announced for this production - Craig Armstrong (who plays Eichelberger/Waiter) was in Billy Elliott, West End, and Whistle Down the Wind; Ralph Bogard (Vanderhof/Watchman), The Mystery of Edwin Drood, Arts Theatre, Saucy Jack and the Space Vixens, Ushers the Front of House Musical; Martin Dickinson (Kirkeby/Karl) The Sound of Music, We Will Rock You, The Secret Garden; John Guerrasio (Dr. Dreyfuss) South Pacific, Anything Goes at Grange Park Opera; Charlie Johnson (Sylvia/Patsy/Mrs Sheldrake/Turkey Lurkey Girls) Spend Spend Spend, Union Theatre; Daisy Maywood (Fran) Wonder.land and Medea, NT, A Chorus Line, West End; Natalie Moore-Williams (Miss Olsen/Vivien/Sharon/Turkey Lurkey Girls) Charlie and the Chocolate Factory and Scrooge, West End; Lee Ormsby (Dobitch) Pumbaa in The Lion King, The Great Jewish American Songbook; Paul Robinson (Sheldrake) Olivier Award nominee for Singin’ in the Rain, NT, The Sound of Music, White Christmas, Guys & Dolls, Chicago; Emily Squibb (Ginger/Kathy/Hostess) Made in Dagenham and Stephen Ward, West End); Gabriel Vick (Chuck Baxter) Sunny Afternoon, Chariots of Fire, West End; Alex Young (Marge/Nurse/Barbara) Showboat, West End. 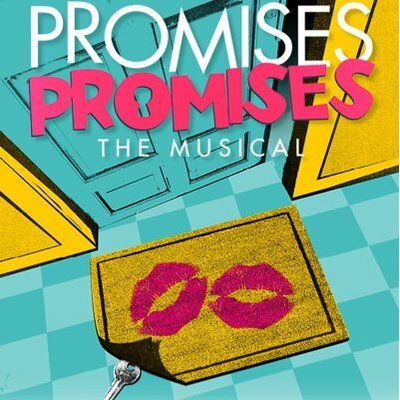 Burt Bacharach's Promises, Promises to be revived at the Southwark Playhouse from 13th January-18th February January 2017 (press night 17th January) which is the first time it has been staged in London since the original West End production in 1969. The show premiered on Broadway in 1968 starring Jerry Orbach (who won a Tony for his role) and Jill O'Hara. 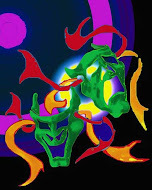 The first London production opened the following year with Tony Roberts and Betty Buckley. The show was last revived in New York in 2010, featuring Sean Hayes and Kristin Chenoweth when director Rob Ashford added two standard classics - I Say A Little Prayer and A House Is Not A Home - which will be included in the Southwark production. 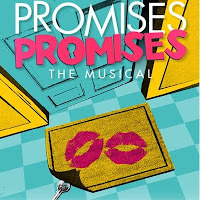 This is the show for which Bacharach wrote the songs with Hal David, using a book by Neil Simon, based on Billy Wilder's Oscar-winning movie The Apartment. The film was a satire on the American way of doing business with Jack Lemmon playing a sap who gives male executives the key to his flat so they can "party". Lemmon's character ends up falling for one of the young women enticed into the pad (Shirley MacLaine). Songs include I'll Never Fall In Love Again, Whoever You Are and Turkey Lurkey Time.